Cooking is one of my favorite hobbies and I’d like to cook delicious dishes and desserts for my family. That’s why I am always on the look out for easy and delicious recipes to try myself. My family love donuts, especially the kids. Donuts are great for breakfast, snacks and picnics. Instead of buying the ones from the stores, you can make donuts easily at home. And you can enjoy the fresh smell and warm delicious donuts right after they come out of the oven. 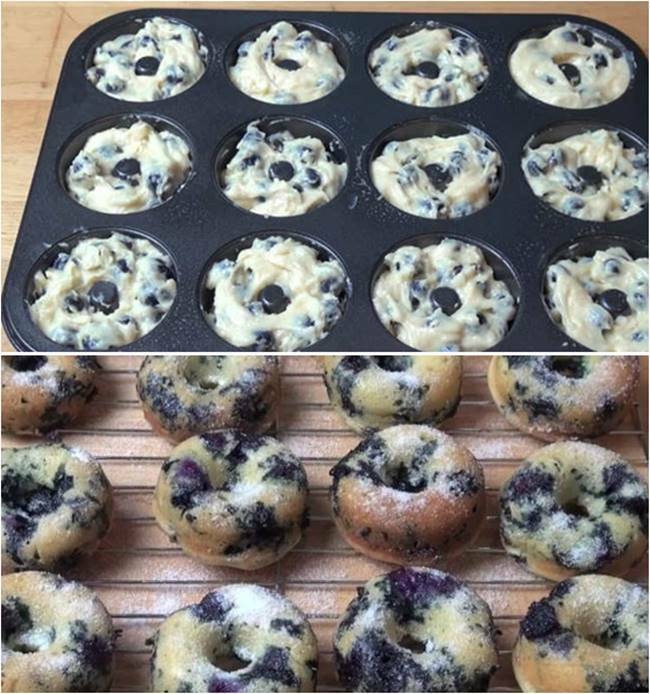 This recipe, presented by OnePotChefShow, shows how to make oven baked blueberry donuts. They are a lighter alternative to traditional deep fried donuts. They are very easy to make. Simply mix all the ingredients together and put them in the pan to bake until golden brown. Then you can enjoy these perfect blueberry donuts. Besides blueberry, you can use other fruits or even chocolate if you like. Follow the video and learn the step by step. Once you know how to make them, you’ll prefer these homemade donuts than the store bought ones. Enjoy!